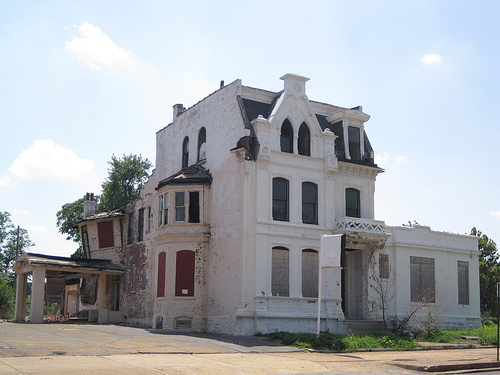 Photograph: The Winkelmann mansion in 2009, by Preservation Research St. Louis. 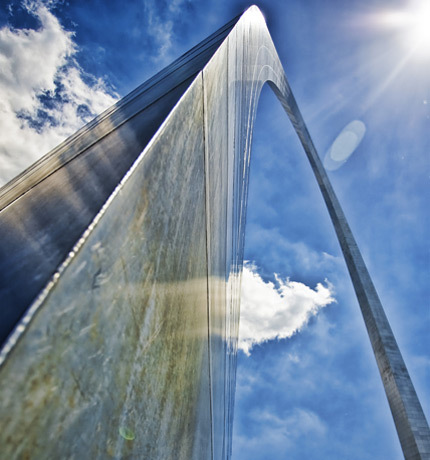 To see its current condition, please visit St. Louis Patina. The mansion was built in 1873, by a “new money” German wholsesale grocery merchant named Bernhard Winkelmann. Between its glory days in the 19th century and the near-destruction today, it served as a funeral home. Thanks to Chris Naffziger at St. Louis Patina for his post on the Illinois Central Railroad Trestle that inspired this poem. 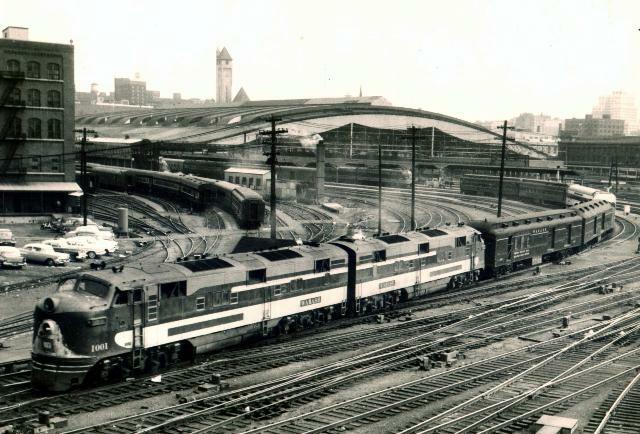 Photograph: An Illinois Central passenger train leaving St. Louis Union Station in the 1950s. Photograph: Core of Discovery St. Louis. The intersection of Grand and Arsenal in the city of St. Louis is one part park, three parts commercial. Arsenal Street actually does a little zigzag as it crosses Grand and then runs the length of Tower Grove Park, which is due south of the Missouri Botanical Garden. Like so much of the city of St. Louis, the residential buildings in the area are red brick. 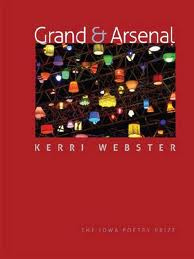 “Grand & Arsenal” is also the title of a new collection of poetry by Kerri Webster, former writer-in-residence at Washington University. There’s a review of the collection today over at TweetSpeak Poetry. 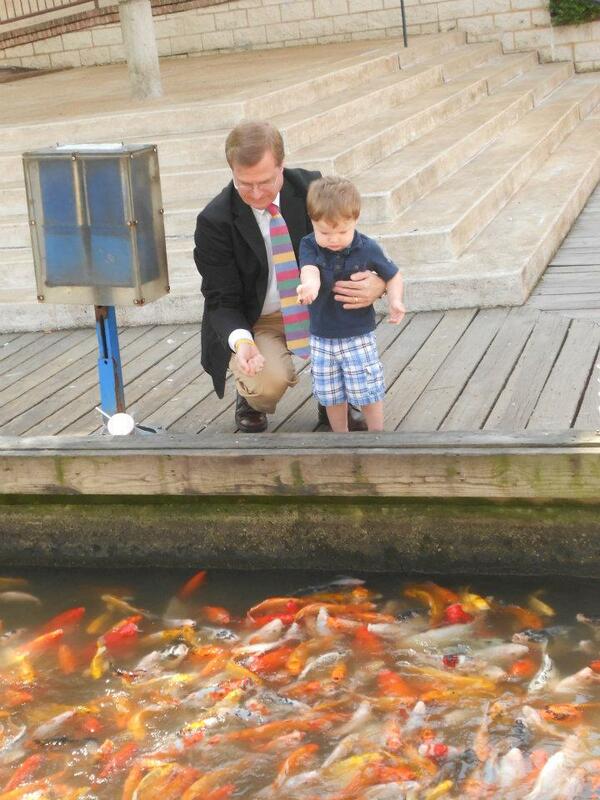 Photograph: Grandfather and grandson feeding koi at St. Louis Union Station, April 8, 2012, by Stephanie Young. 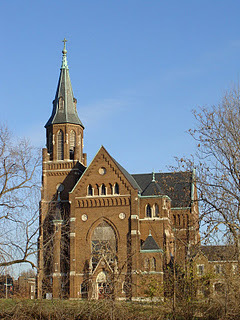 Chris Naffziger at St. Louis Patina has a post today entitled “The Death of Central St. Louis.” It’s well worth reading; it looks at the stretch of the City of St. Louis between Interstates 64/40 and 44between Lafayette Square and Kingshighway. 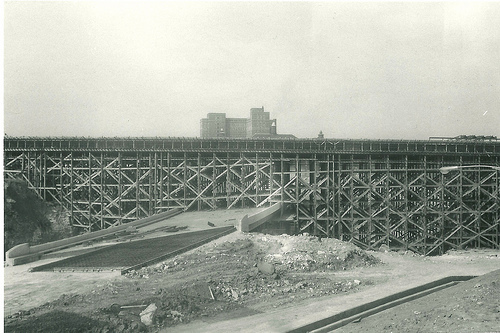 What few knew when they were built, we all know now: highways form barriers; highways divide. become tombstones for what once was. Once there was life in this moonscape. Photograph: The construction of the connection of Interstates 44 and 55 in St. Louis. Photographer unknown. Source: Preservation Research Office.